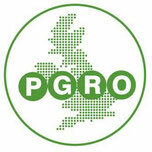 links with growers, processors, trade and fundamental researcher communities. The organisation aims to ensure members are able to quickly and easily glean appropriate information and advice. Research is carried out to a high standard and within appropriate quality criteria. programmes, site promotional knowledge transfer events and direct face to face and telephone contact.